Lint can be the bane of a quilter’s existence. A cotton thread that produces too much lint causes build-up inside the machine. From the outside all looks serene, but take a look inside and you’ll find the lint monster lurking. Lint gums up the thread path. It lurks around the bobbin case, the bobbin area and the tension disks. Lint causes your thread to lose tension in the middle of quilting. It makes your machine stitch erratically, causing flaws in your design. This insidious fluff can also throw the timing of your machine off or stop it from working entirely. Lint looks fluffy and harmless but, if allowed to build up, it can create a number of problems for you and your machine. Now it should be said that lint doesn’t only come from cotton thread. 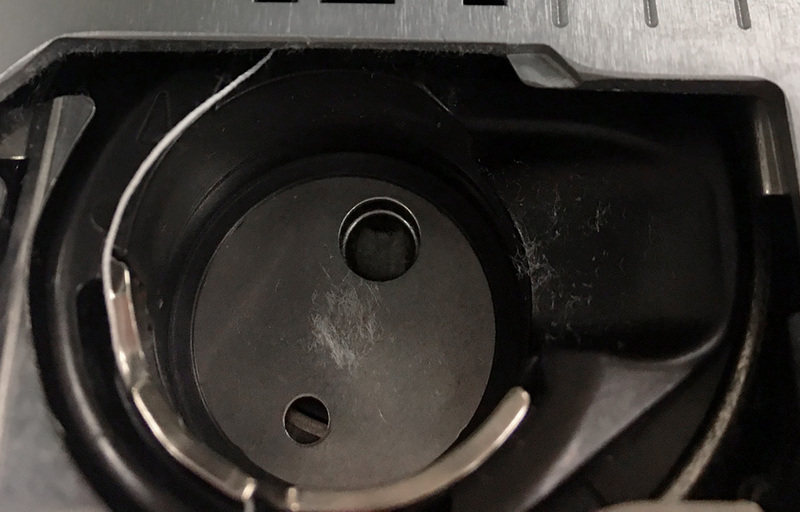 Batting and fabric can also create lint, which contributes to the build-up inside your machine. Cotton thread, however, can often be a huge culprit when it comes to lint production. Because of the nature of the beast, and how it runs through a machine, cotton thread can create a ton of lint. So, given that we know lint is bad, and cotton thread is one of the primary causes of lint in a machine, how do you avoid this linty dilemma? Some people will tell you the solution is not to use cotton thread at all, and there are quilters who choose to do just that. Instead of cotton, they use a polyester, like Iris UltraBrite Polyester, to create their quilts. As we know from experience, the results when polyester thread is used can be quite stunning, but that option isn’t for all quilters. Some like cotton and want to use it without any annoying fluff balls of lint. For those quilters, Ultra Quilting Thread is the perfect option. It is 100% long staple Egyptian cotton. This thread is double mercerized, which means it has been treated to allow the dye to better penetrate the fibers. Mercerizing also increases the strength and luster of the thread. Ultra cotton thread has also been gassed, a process which exposes the thread to high heat and results in a dramatic reduction in lint production. The end result is a thread that is smooth and lustrous, one which is strong enough to run well during the most complicated quilting sessions, and which produces little to no lint. Now, we understand that “little to no lint” is a subjective description, so we have provided you with a visual aid, the picture that accompanies this post. That picture is of the bobbin case from the owner of EnMart’s sewing machine. She is a beginning quilter and has now made two quilts with that machine, and what you see in the bobbin case is the lint the Ultra Thread produced during the entire process of creating those two quilts. The small picture to the right of this paragraph is a close-up version of the bobbin case in the picture at the top of the post. As you can see, there’s little, if any, lint to be seen. We’re confident that Iris Ultra Quilting Thread is one of the lowest lint, if not the lowest lint cotton thread in the quilting industry, but we’re not going to ask you to take our pictures as proof. We know that seeing is believing, but trying cements that belief. 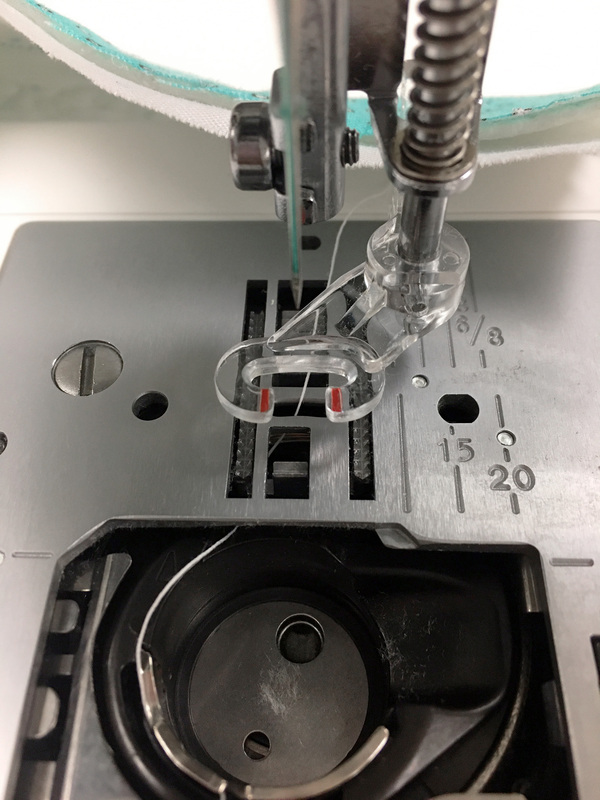 If you’d like to try a sample of Ultra thread for yourself, just comment on this blog post or contact us with your name and address and we’ll get a sample out to you. Banish the lint monster once and for all. Get your sample of Ultra Quilting Thread today! Would love to try your thread. We’ll be glad to get a sample out to you. Thank you for your interest. I am anxious to try your cotton. We will get a sample out to you Patti. Thank you for your interest.